BRIGHT is a recognized leading manufacturer and supplier of high quality rubber bellows and boots. Our company's reputation for excellence has been built on our ability to provide our valued customers with the most effective designing, engineering and manufacturing solutions to meet their most demanding applications. Our main objective is to continuously exceed our customer's expectations by providing them with high performance gaskets and sealing products, competitive pricing, on-time delivery and exceptional customer service. BRIGHT maintains a modern manufacturing facility along with knowledgeable, technically-oriented professionals enabling us to consistently meet all of your blueprint specifications and tolerance requirements. BRIGHT has over forty years experience specializing in the manufacturing of precision molded rubber products, including rubber bellows and boots.BRIGHT takes pride in its ability to consistently produce precision custom bellows and boots guaranteed to meet your most stringent requirements. We ensure a quality product that will function perfectly within its application and for its intended purpose. We manufacture our bellows and boots using special techniques and the latest materials available to provide you with the best product for your application. BRIGHT is committed to understanding each of our customer's needs in order to create the perfect rubber bellow or boot according to their blueprints and material specifications. The rubber molding tolerances for bellows and boots are complaint with rubber molding industry standard tolerances. Rubber bellows and boots are an essential part of many different industrial systems. They are flexible seals used in a range of applications for sealing dust and other environmental elements in applications with a calculated range of motion. 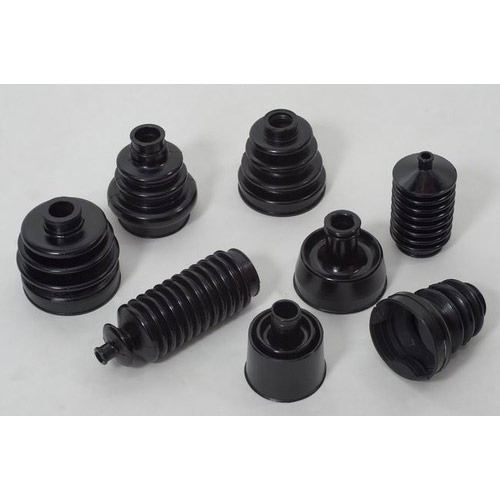 BRIGHT fabricates rubber bellows and boots using one of three rubber molding methods; including compression molding, transfer molding and rubber injection molding. Our custom rubber bellows and boots are designed to protect against: dust, water, oil, grease, acids, bleaches, spatter and pressure, moisture, chemicals, UV & other environmental elements. Our organization has successfully expanded its business in market owing to the offered elevated quality array of Silicone Profile that is mainly used in automobile industry. This profile is manufactured under the visionary guidance of skilled professionals using basic material and advanced machines in compliance with set industrial standards. Our offered profiles are made available in a gradation of various dimensions and colors, in order to meet the vast requirements of our valuable clients. Our organization is amongst the highly trusted manufacturer, supplier and exporter of high quality range of Industrial Bellows. These industrial bellows are used for preventing machine abrasions, dust and other materials which may cause trouble to smooth operation of different machineries. Our industrial bellows are very robust and long lasting with excellent design and dimensional accuracy. These industrial bellows are available to our clients in various designs and sizes depending on requirements at economical prices. 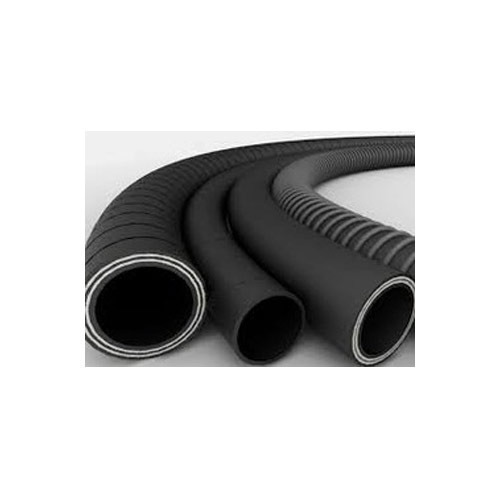 We are leading organization actively engaged in offering wide assortment of Hose Pipe. This pipe is widely used in various petrochemical, pharmaceutical, automotive, etc. industries. Further, this pipe is thoroughly tested on various stages by our quality analysts assuring their flawlessness. In order to keep pace with the changing trends, we keep adding the latest and most exclusive designs to our range.